This exhibition is available for travel for flexible time slots. 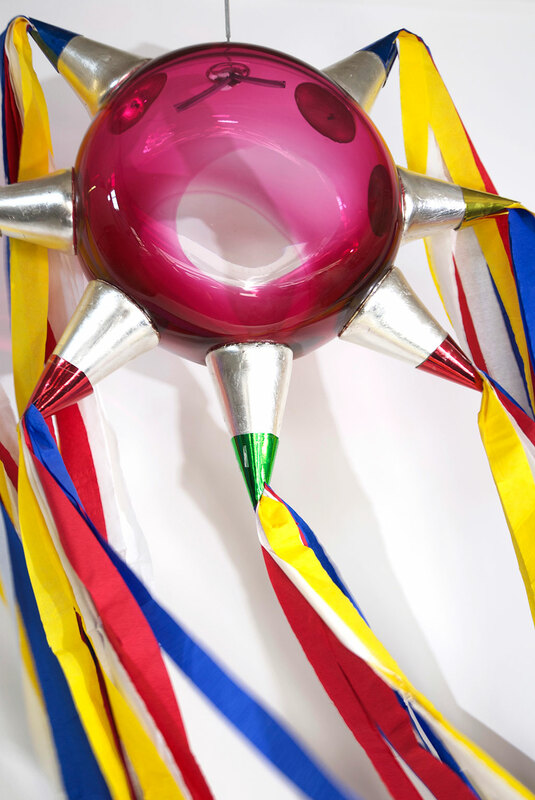 Craft in America will focus on the work of three individual artist: Jaime Guerrero, Gerardo Monterrubio, and Consuelo Jimenez Underwood. 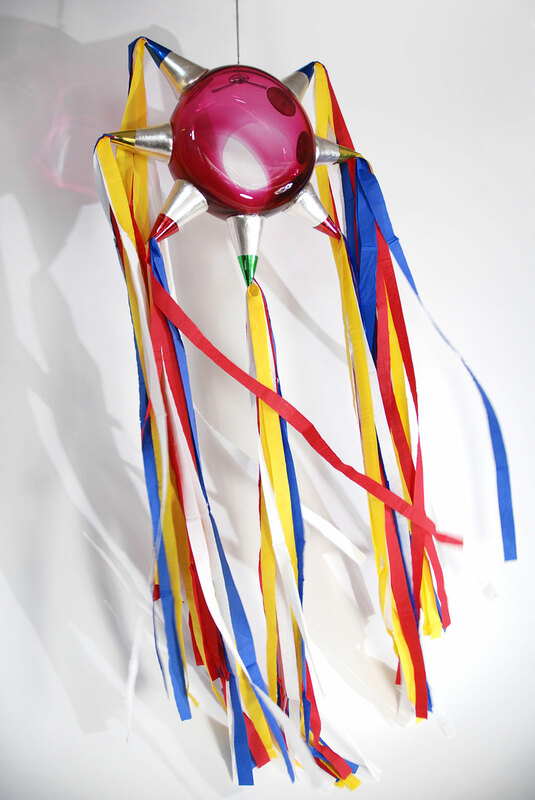 These artists who use craft to articulate messages about American culture, personal experiences, Latino identity and the ever-mutating socio-political tensions that exist in Los Angeles and California as a whole. 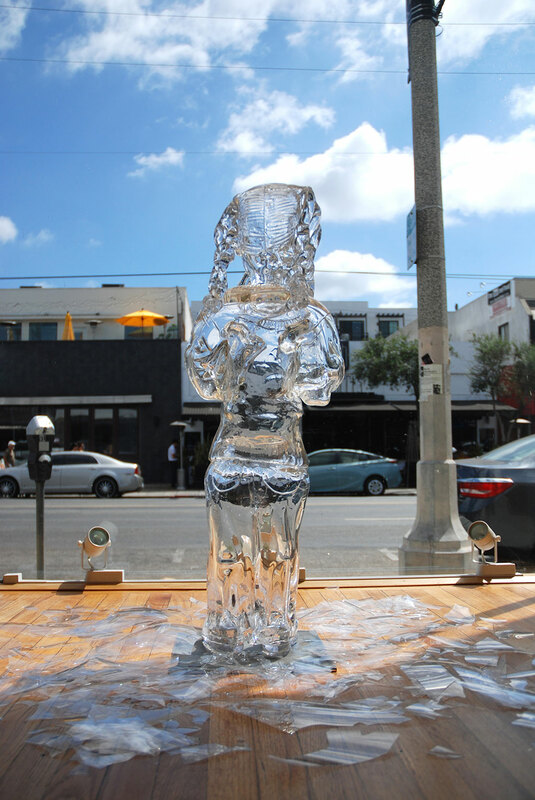 For Boyle Heights-native Guerrero, whose show is the first in the Mano-Made series, the spiritual and metaphorical potential of glass to represent a culture at any given time is a pathway for investigation. 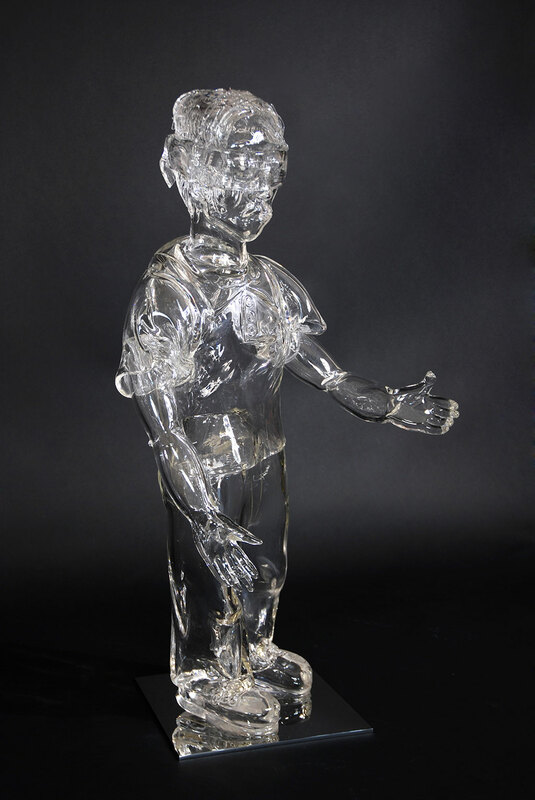 Jaime is one of the few and first artists in the world to hot sculpt life-size figures in blown glass. The inherent nature of glass in its duality of strength, yet fragility, mirrors the nature of the human body and gives his work added impact. 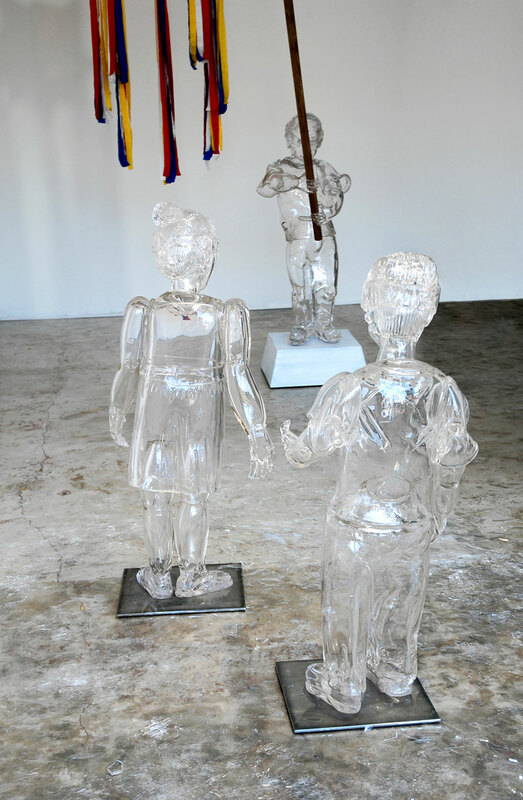 Manipulating the medium of glass with pioneering dexterity and imbuing it with unprecedented emotion, Jaime Guerrero has given form to the crisis he sees our nation facing with the ethics of immigration policy, and specifically, the effect of those policies on children. 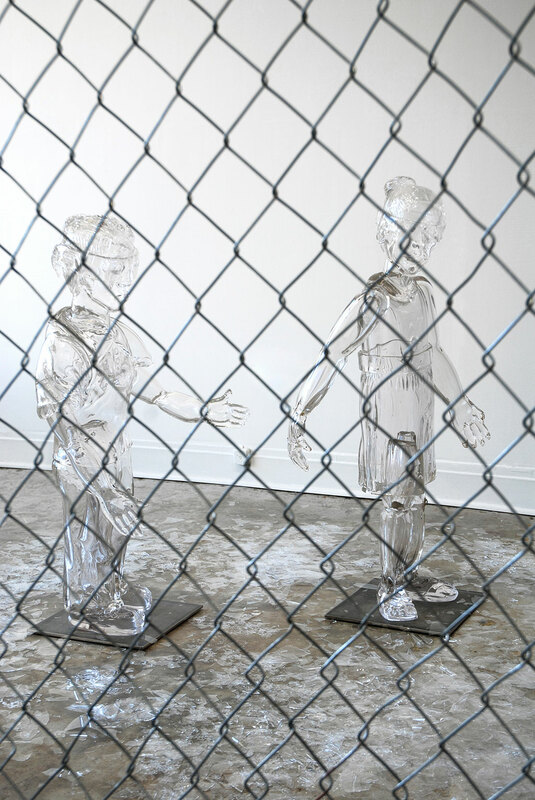 His installation serves to humanize the overlooked unaccompanied minors who are detained at American borders on a daily basis and to juxtapose their reality alongside that of children who come to the U.S. under more fortunate circumstances. 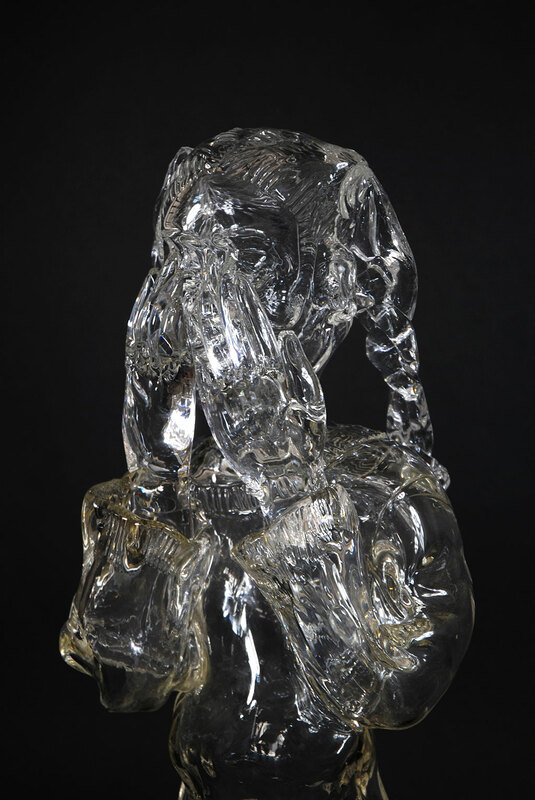 For roughly a decade, Guerrero has focused on generating the human form in blown glass on a large scale. With this mixed media installation, he has created his most compositionally ambitious group of human figures yet. Glass has been used to form vessels that contain physical matter since the beginning of civilization. 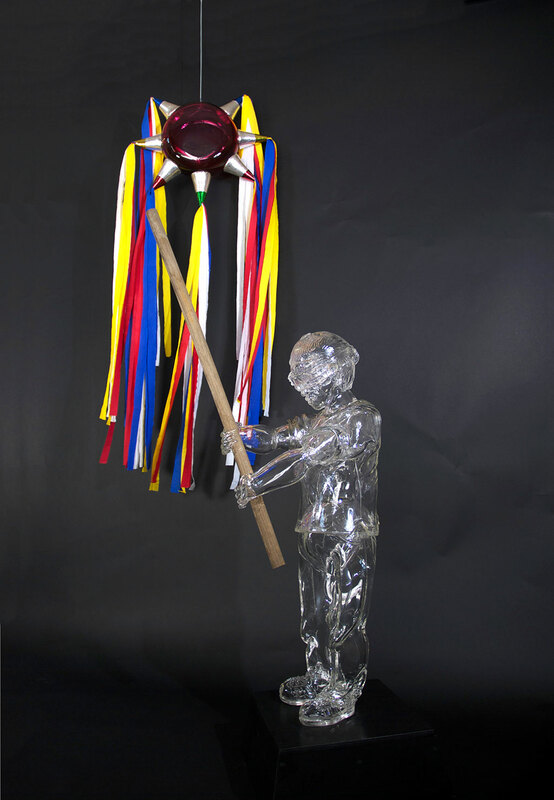 Herein, Guerrero uses glass to contain concepts of identity, experience, memory, and hardship. Guerrero is featured in Craft in America’s 2017 episode, NEIGHBORS. This episode is an introduction to the vast interrelationships in the craft practices of Mexico and the United States. This exhibition was on display at the Craft in America Center, August 26 – October 7, 2017. Mano-Made will travel to the Fuller Museum, Brockton, MA and is on view December 15, 2018 – September 8, 2019. This exhibition was part of Pacific Standard Time: LA/LA.